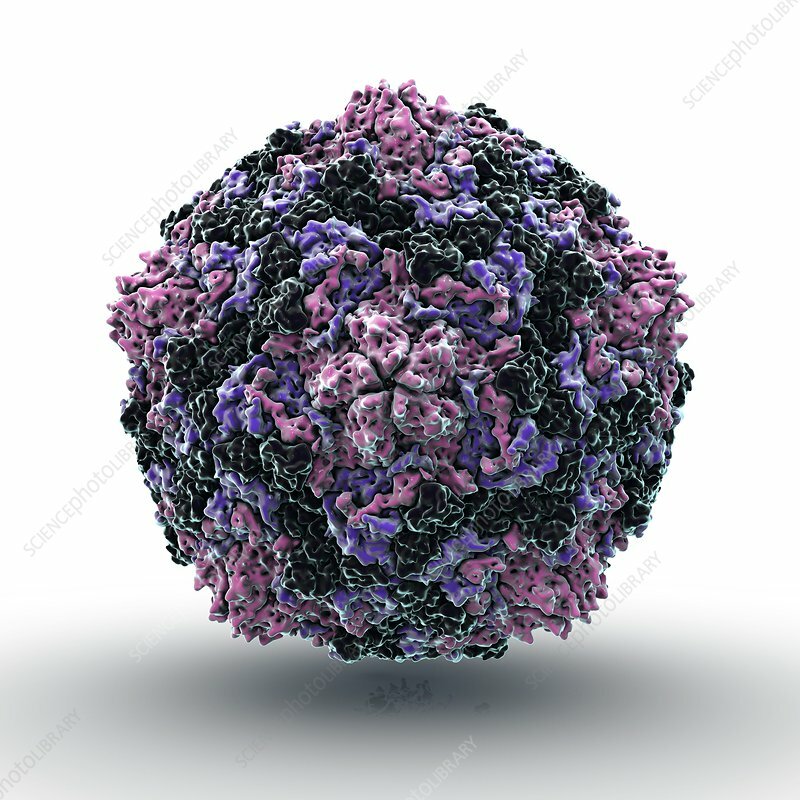 Coxsackie virus particle, computer artwork. Coxsackie virus particles (virions) consist of an outer protein coat (capsid) encasing RNA (ribonucleic acid), the genetic material of the virus. Infection spreads from person to person, usually on unwashed hands and surfaces contaminated with faeces, where the virus can live for several days. Coxsackie viruses are divided into type A and type B, type B being the most severe.